Clary Business Machines was established in San Diego California, in 1954 aiming to deliver a large range of technological solutions online. 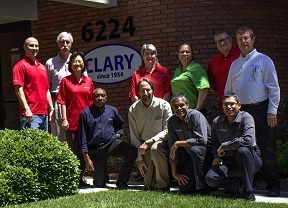 With a customer base of over 25,000 in the last three years Clary has been ranked 940 among INC 5000 companies, No. 34 in the San Diego Business Journal Fastest growing 100 Private Companies and “Top 50 Fastest Growing Companies in San Diego”. Clary targets the local corporation, government and educational institutes to improve their operations by providing cost effective and efficient solutions. 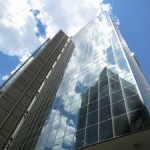 With a large number of small to large commercial firms, government and public institutions the company has maintained well-established sales and service relationships. The goal of Clary Business Machines is to provide service solutions to its customers. Clary has come a long way in becoming a trustworthy provider of state-of-the-art end-to-end technology solutions. Clary Business Machines provide wide-ranging office products, including Document Shredding Equipment, Hard Drive Shredders, Specialty Shredders, Paper Handling Products, Interactive Presentation Solutions, Furniture, ID Card Printers and much more. Product lines include Dahle, Fellowes, Formax, and HSM. Plus, Kobra, Intimus, MBM Destroyit and Swingline and more. Our long term, exclusive relationships with the manufacturers of products allow us to ensure that our customers receive best cooperation and support from the manufacturers. We also pay great deal of attention on after sale services and maintain a dedicated in-house customer service team to provide prompt service to our customers. Clary Business Machines has adapted the strategy to become a "one stop shop for all office electronics needs" and is adding new lines to its product range such as telephony and video conferencing systems. The company was first incorporated and the management was changed. The company ventured into Internet Marketing with various products and developed multiple websites considering simplicity, user friendliness and customer’s education. This strategy helped build very strong relationships with the manufacturers/suppliers. The company now owns 100 plus websites and generates a little over ½ its revenue through Internet sales nationwide.